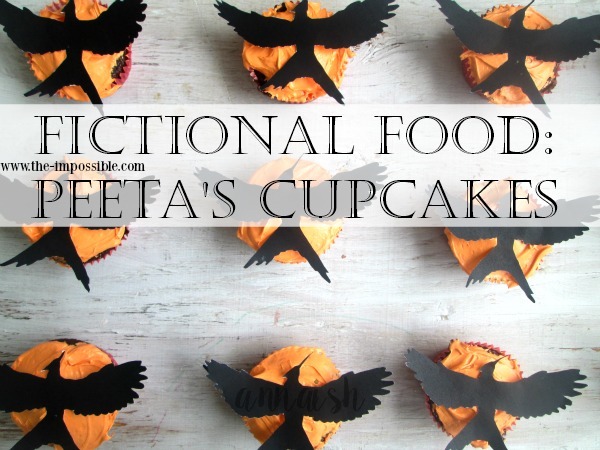 I haven't seen Mockingjay Part 2 yet but I still celebrated with Peeta's cupcakes. These cupcakes are so easy to make guys and quite yum. Let us bakers bake. My plan was to make these for Thanksgiving for all my aunts, uncles and cousins but me and my family changed our plan to have a small Thanksgiving at home this year. I still made this delicious cupcakes! 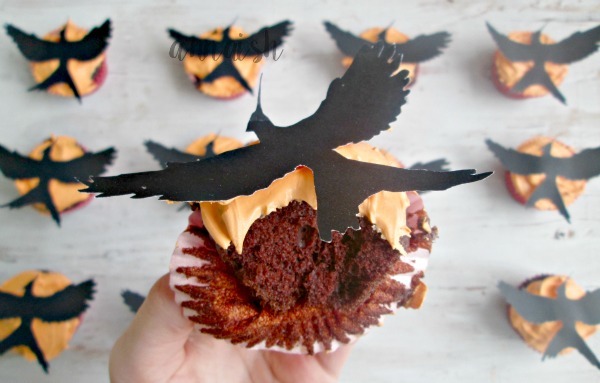 All I used was chocolate cake mix, store frosting and those Mockingjay's on the cupcakes are paper. I cut out 12 Mockingjay's for me and my family. It doesn't sounds like a lot but... it took me about an hour and a half maybe to cut out those birds? I'm sure you can find Mockingjay's you can eat or something. How was Mockingjay Part 2 guys? No spoilers please! I'm not really sad that it ended. I thought the movies were okay. 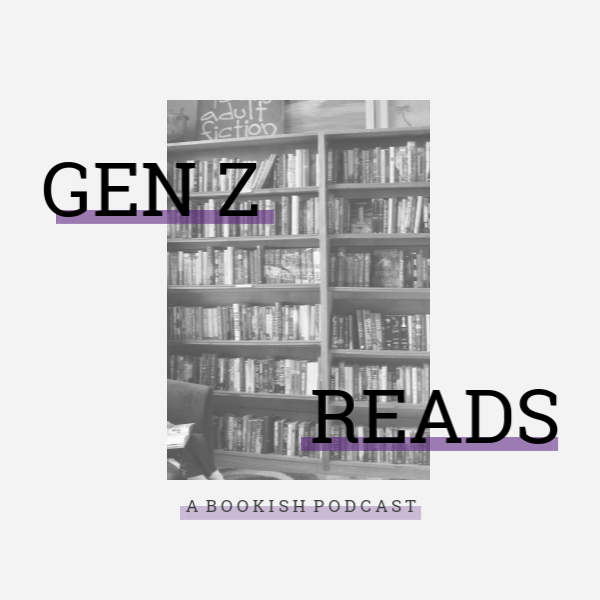 I enjoyed the books better. I don't like what the media has done to the hunger games. It's all Team Peeta or Team Gale or who's the hottest actor in the hunger games? Please stop. It's so annoying! Do people really understand the hunger games? It's about Katniss fight back to the capitol and showing what's right! It's sad and annoying but we all knew that was going to happened. ANYWAY. I'm sorry for that little rant there. I just need that off my chest. 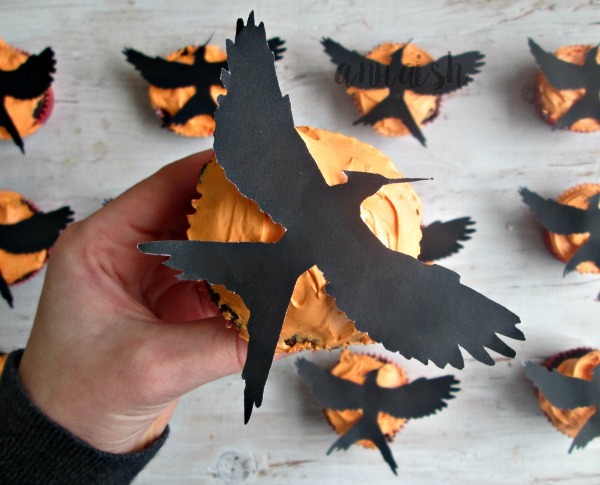 Showing my pride for Team Mockingjay, I have made Peeta's cupcakes. Enjoy and may the odds be ever in your flavor. Yay! I'm not the only one! XD Aw, thank you so much! Exactly! Darn Hollywood.